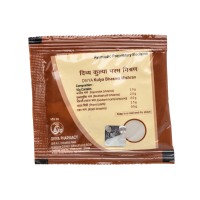 Divya KulyaBhasma Mishran is a very effective medicine that prevents neurological disorders like epi..
Kumar Kalyan Ras ensures your child's all-round development. 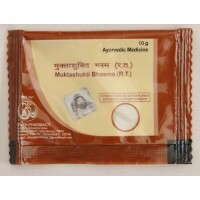 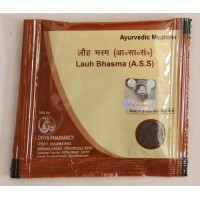 It has multivitamins and nutrients that..
Lauh Bhasm cures anemia, jaundice and other stomach problems. 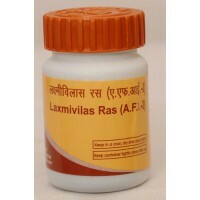 Unbalanced diet and unhealthy lifestyl..
Laxmivilas Ras is a traditional Ayurvedic formulation that cures cough, cold and rhinitis.It soothes.. 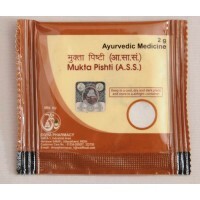 If you are suffering from joint pain, swollen joints and finding it difficult to move, then worry no..
Makar Dhwaj is an Ayurvedic medicine that improves general health and boosts libido. 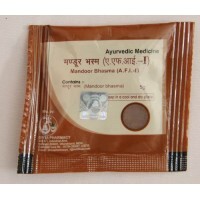 The tonic nouri..
Mandur Bhasma is an Ayurvedic combination manufactured from herbal extracts to give you relief from ..
For vision, fever, heart ailments, it is cool, healthy, gives result in biliary diseases, dysenter..
Muktashukti Bhasma is a time-tested remedy for acidity, colic problems and resulting fever. 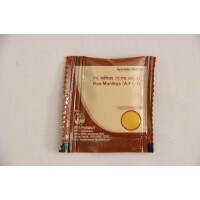 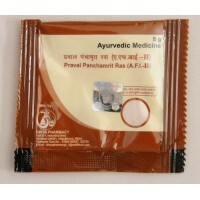 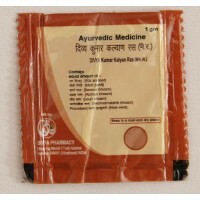 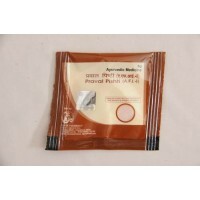 Our di..
Praval Panchamrit Ras is an Ayurvedic combination made from mercury. 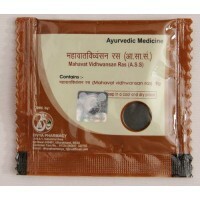 It is guaranteed to give you re.. 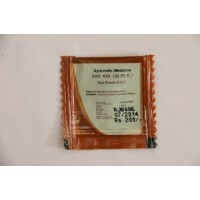 It is useful in epilepsy, nerve problems. 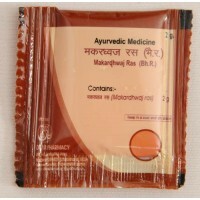 The material is treated, with the fluid of various herbs..
Ras Manikya is an ayurvedic product useful in fever, throat irritation, asthma and other respi..